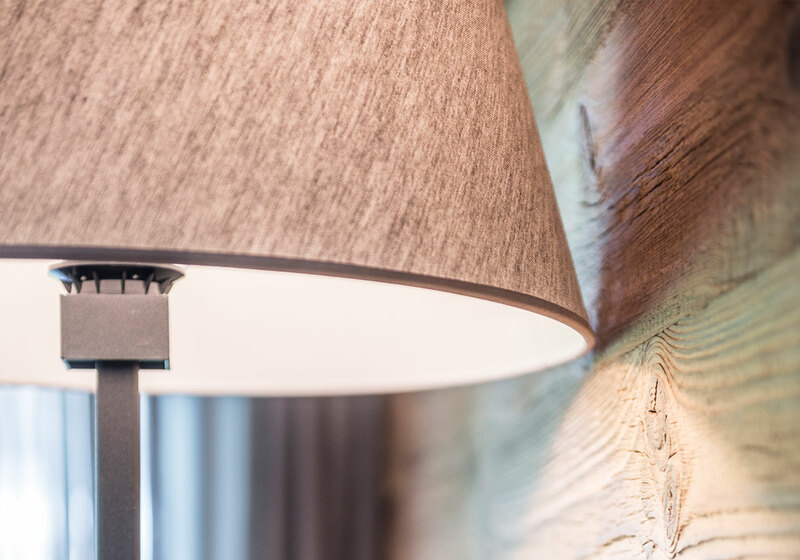 Live like the locals. In the middle of the Dolomites, UNESCO Natural World Heritage Site, surrounded by birch forest and mountain meadows. 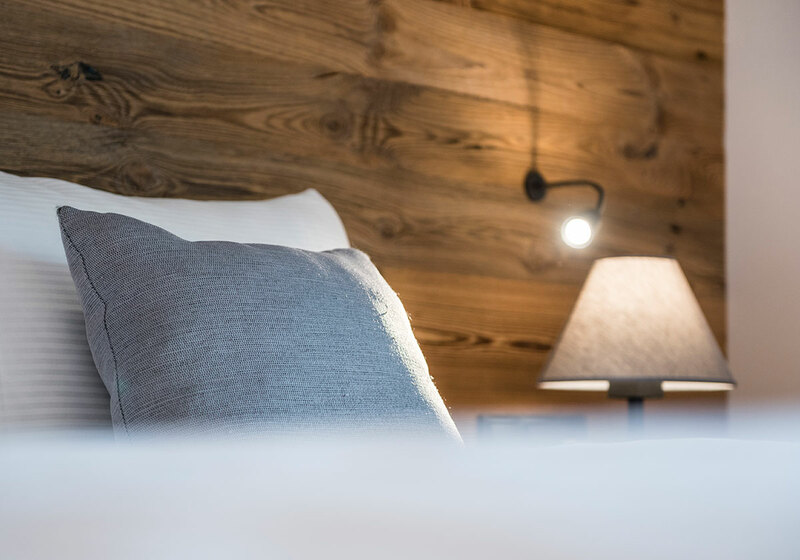 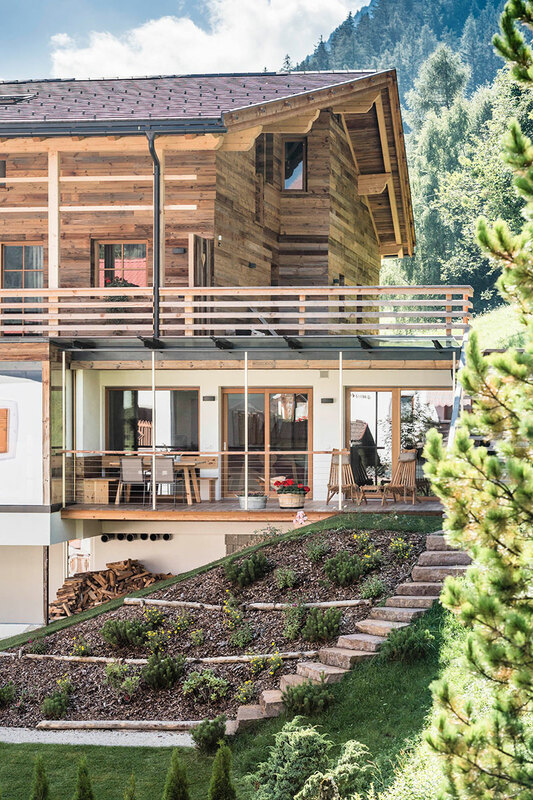 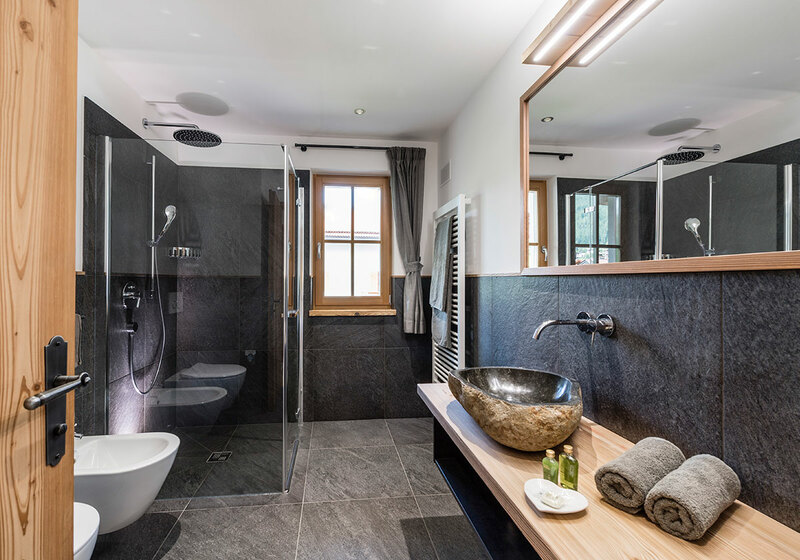 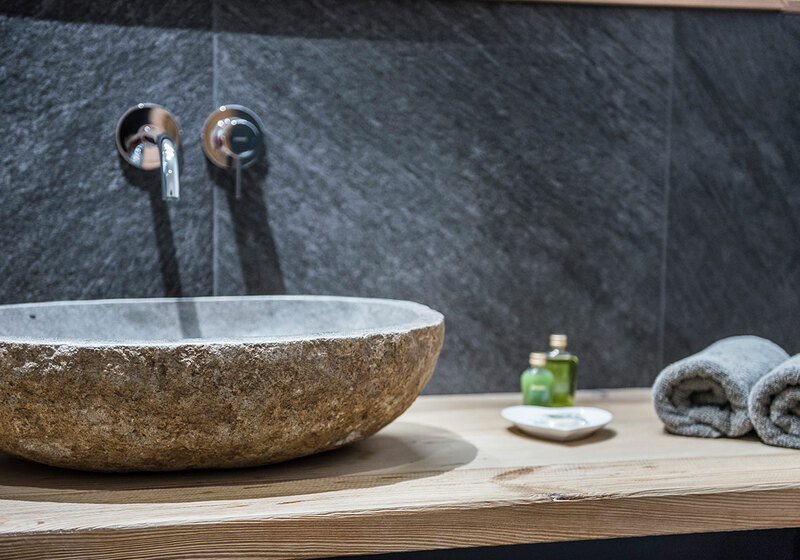 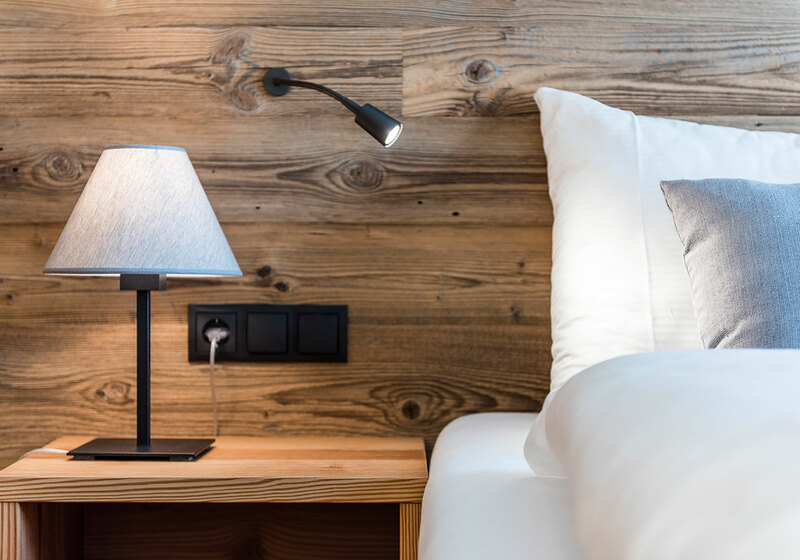 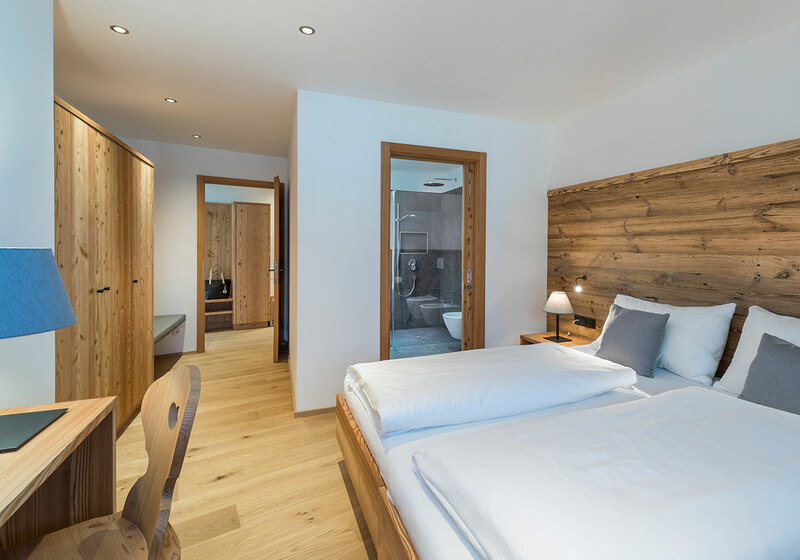 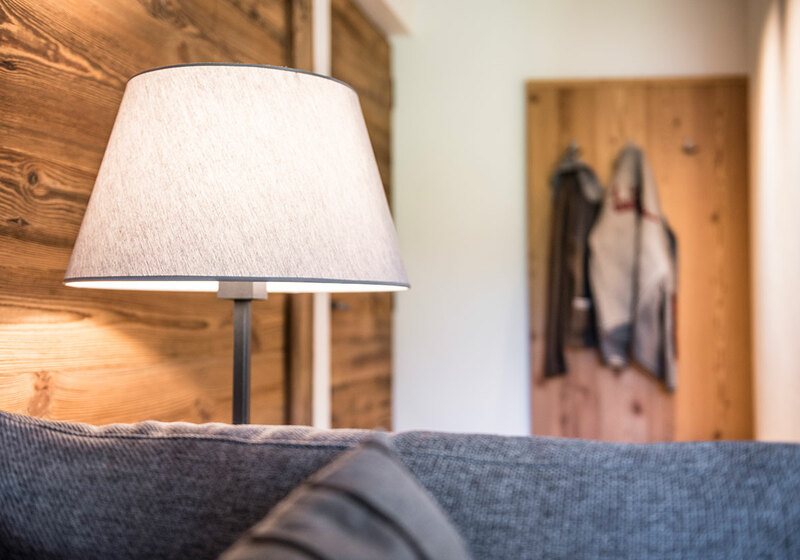 The new Chalet Sophia blends into the rural idyll in a completely natural way. 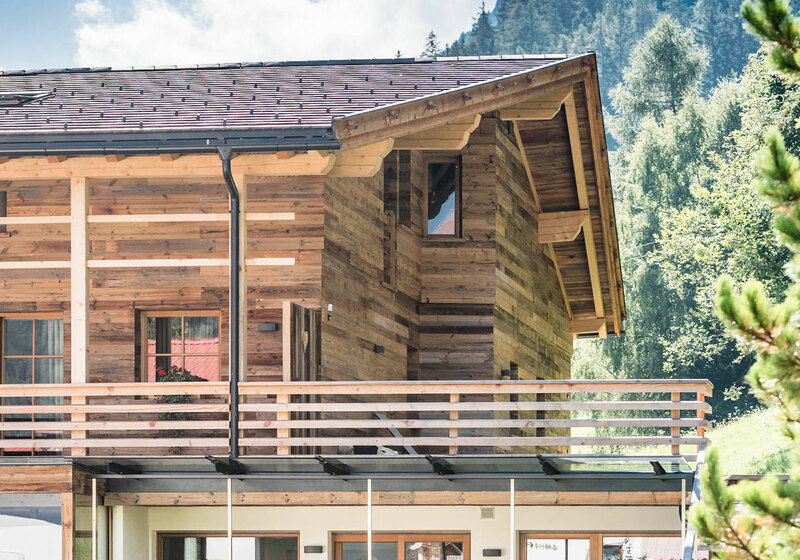 The façade, which is made from antique wood, is modelled after the architectural style of Val Gardena’s farmhouses. 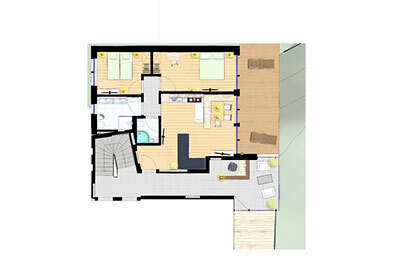 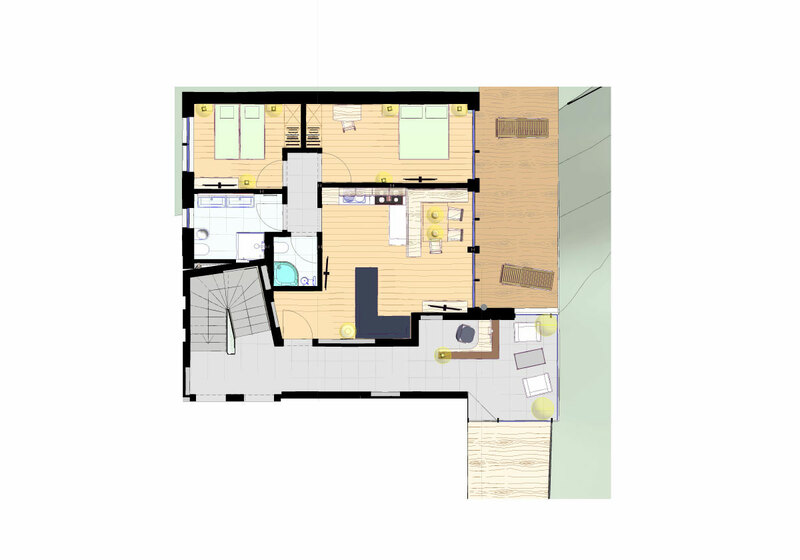 The spacious apartments allow both intimacy and freedom to flourish. 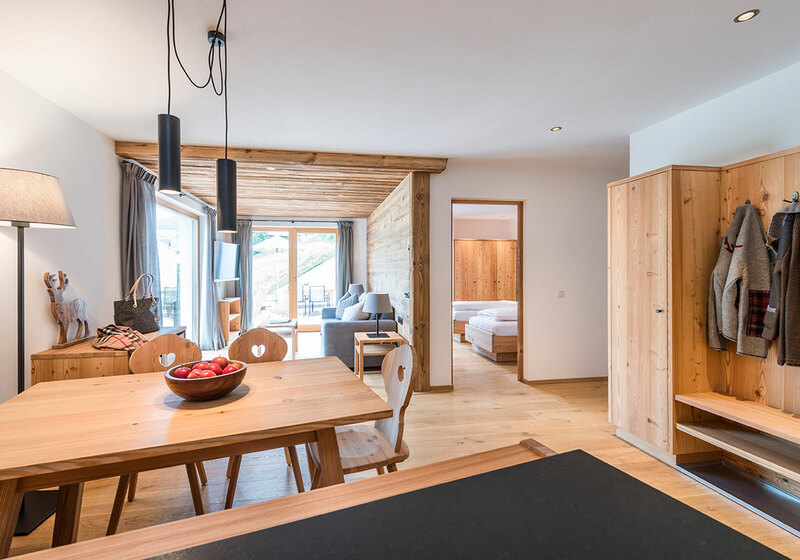 The quiet hillside location lets plenty of light into the rooms, wood is prominently used throughout. 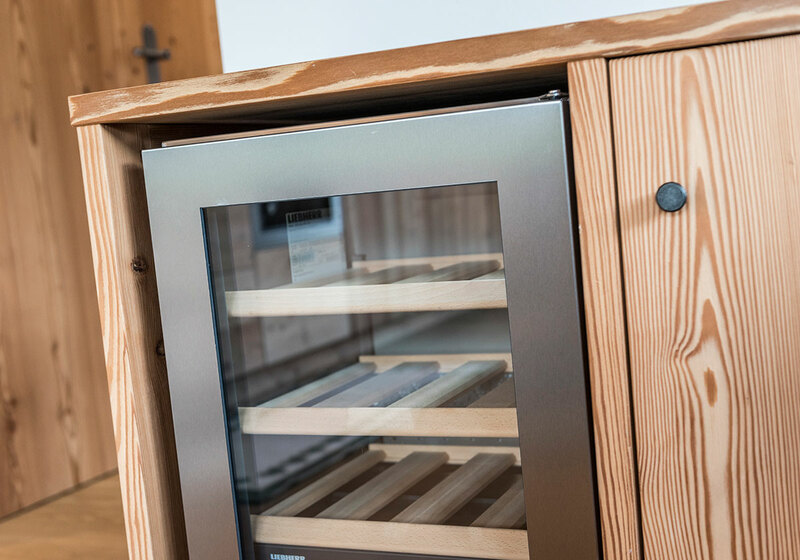 Bright, natural larch harmonises with the characterful antique wood, while straight lines complement the romance of the alpine stube. 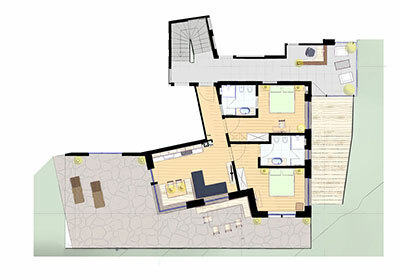 Traditional and modern elements run through the entire establishment. 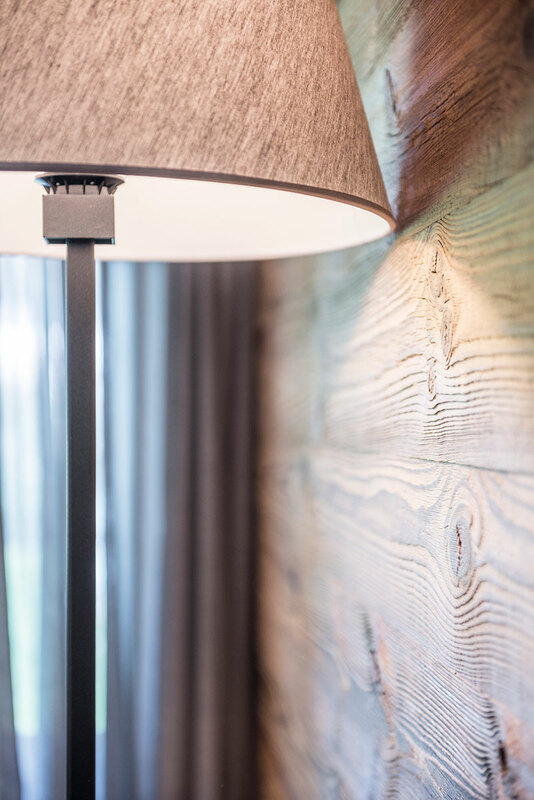 High quality, sturdy furniture, made by local carpenters, shares the spotlight with Italian designer lamps. 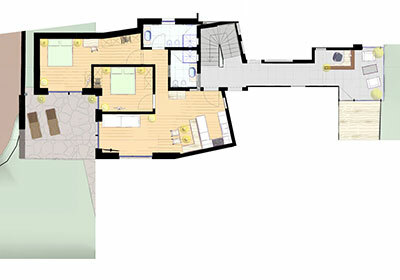 The entire interior radiates warmth and comfort, while maintaining an individual and creative look. 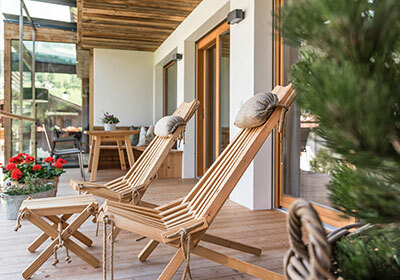 The right setting for people who are looking for an authentic living experience on holiday, while at the same time not being bound to fixed (hotel) times. 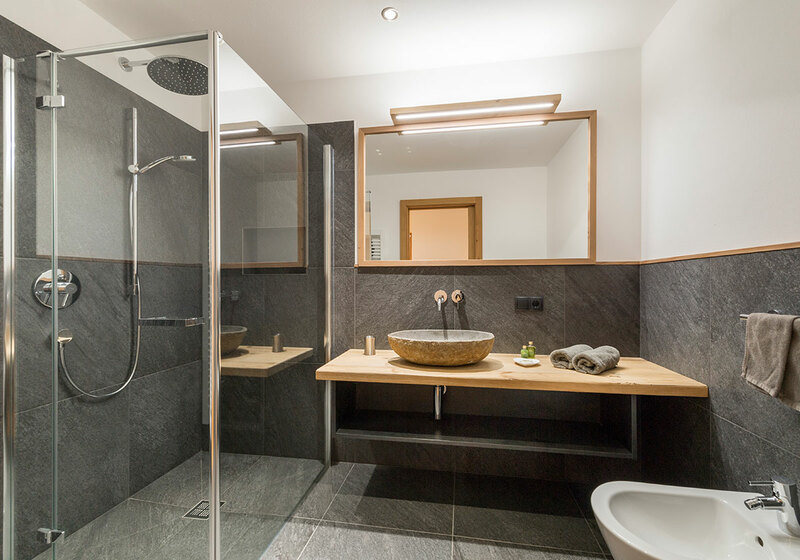 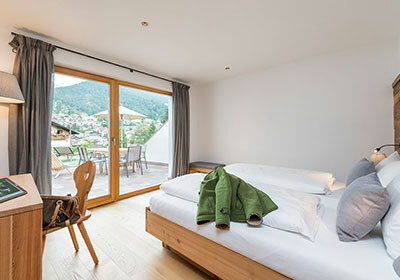 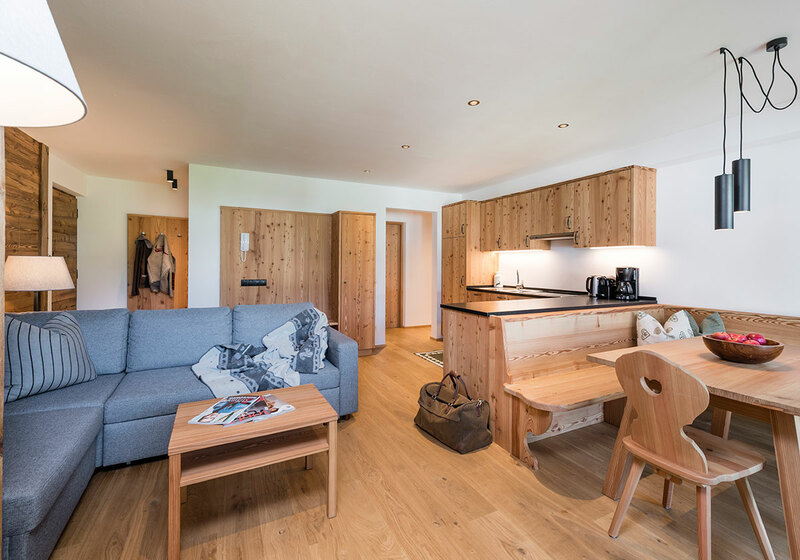 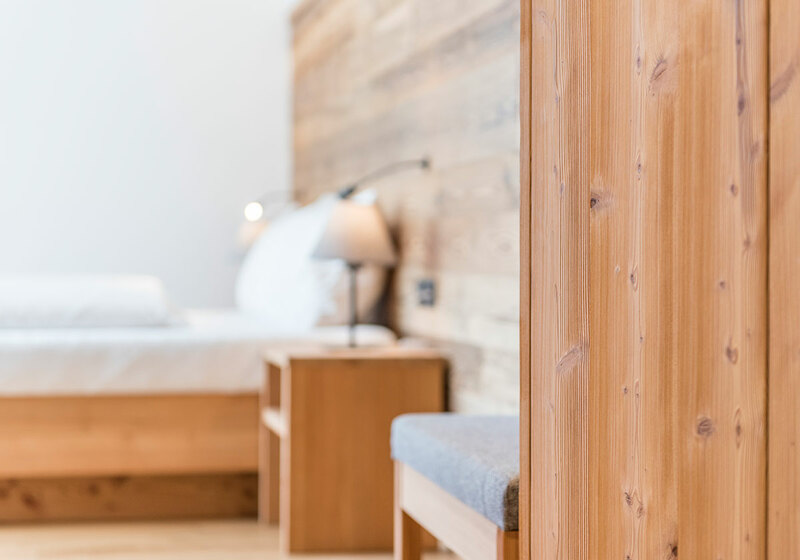 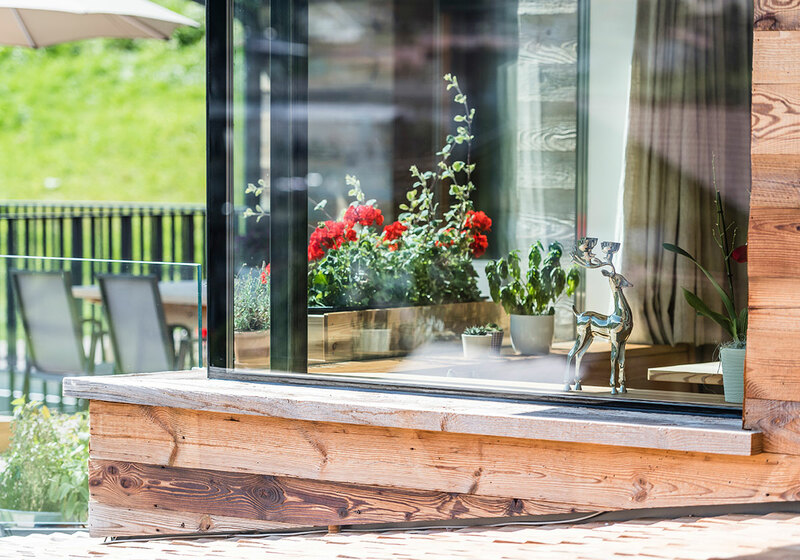 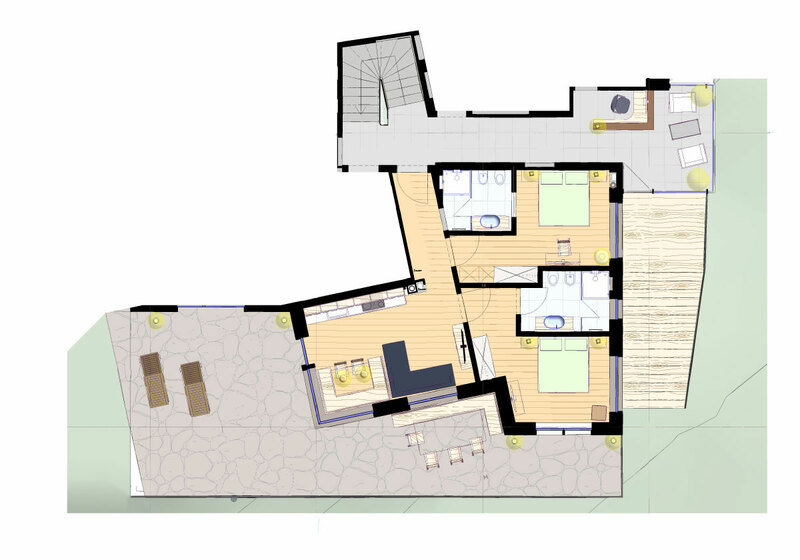 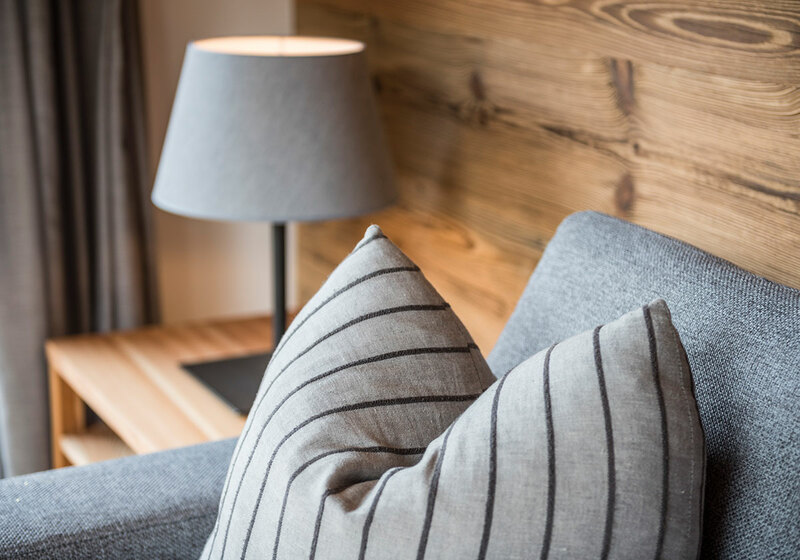 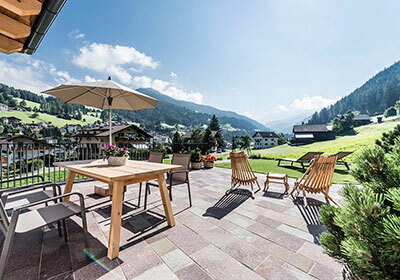 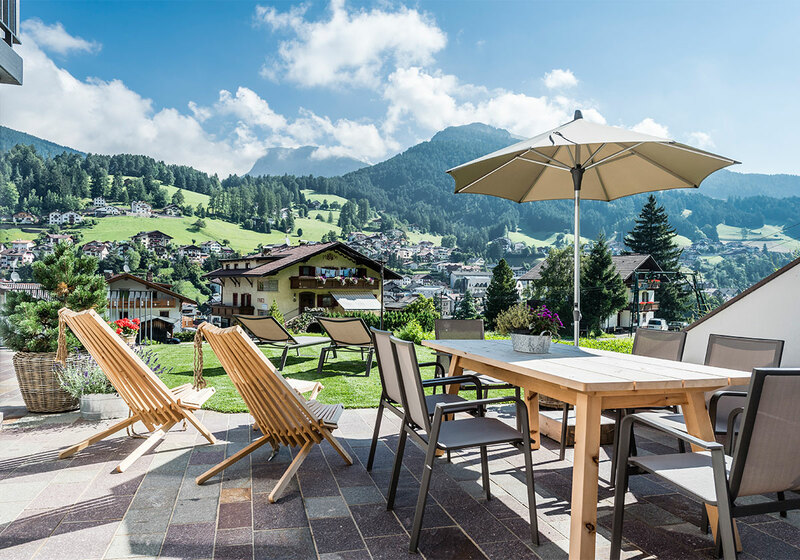 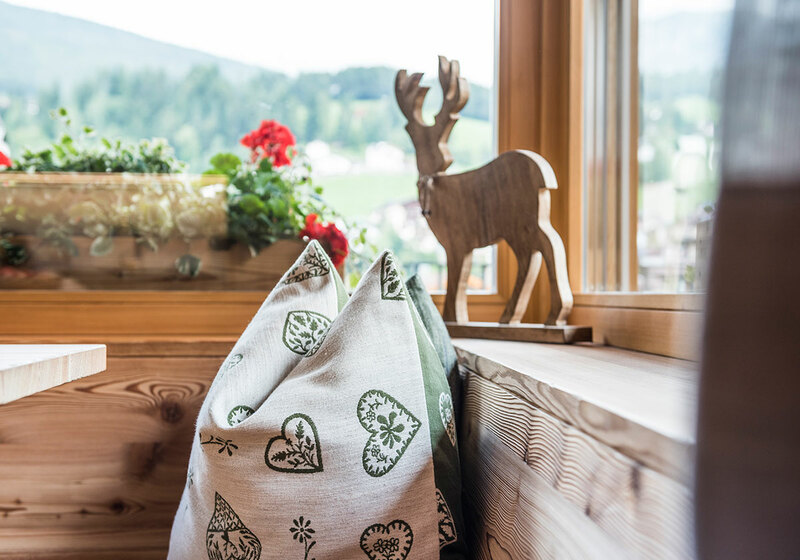 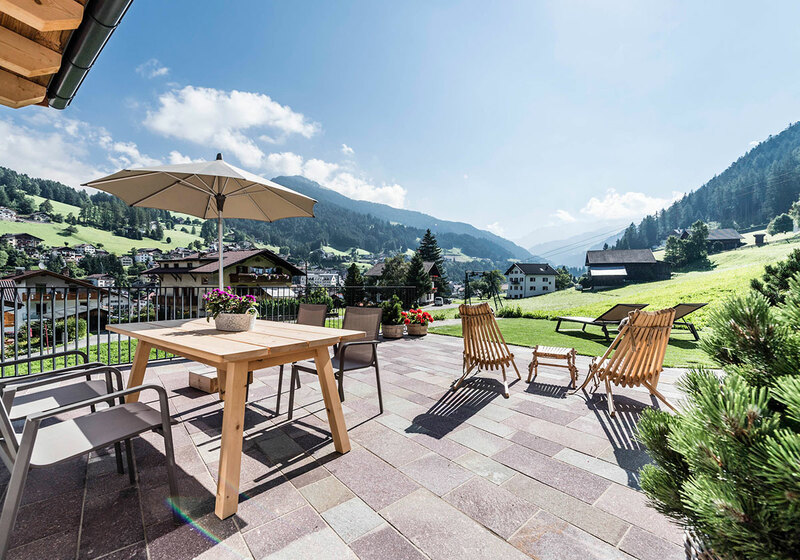 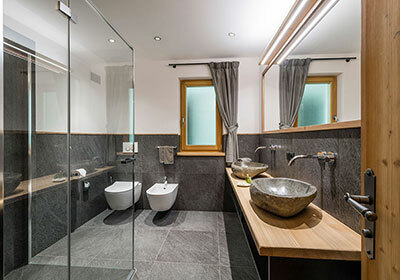 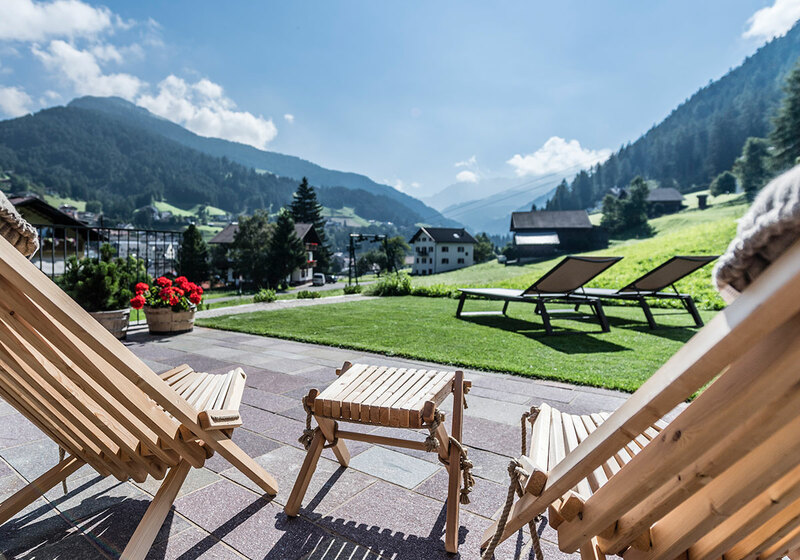 All holiday apartments have a private terrace with views of the Dolomites, bio-wood floors (allergy-friendly), 1-2 bedrooms, a spacious living room with fully equipped, modern kitchen, spacious bathroom with shower and toilet. 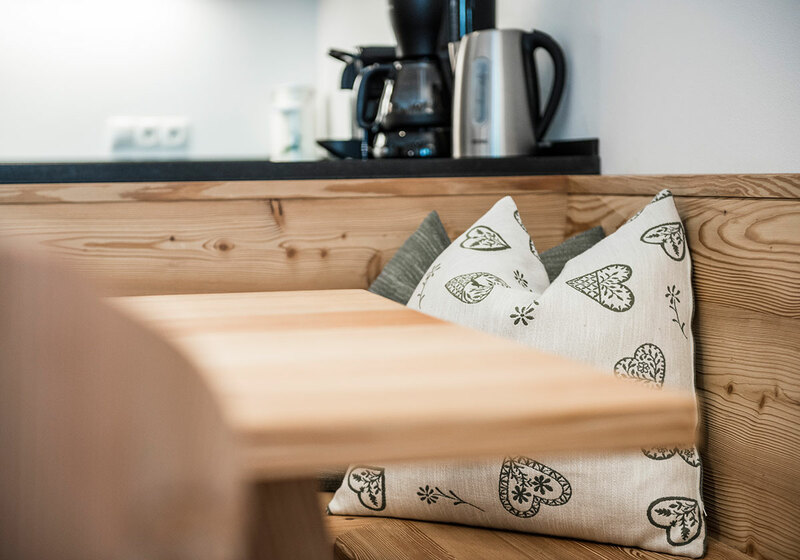 Service: Free garage parking, bread service and change of linen on request. 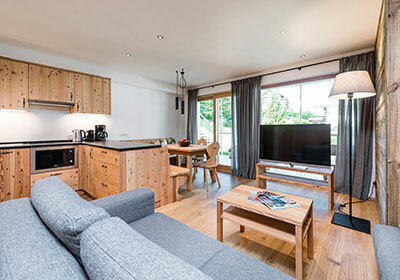 Bright accommodation in larch and antique wood with sofa, dining table, wardrobe, chest of drawers, wine cabinet, Sat LCD TV, internet connection and wooden flooring. 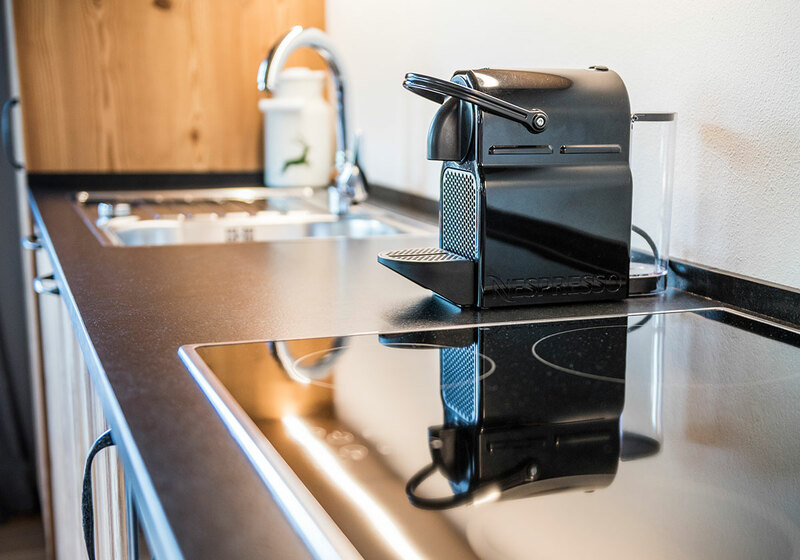 Kitchenette corner with dishwasher, fridge, glass-ceramic hob and microwave, Nespresso-coffee machine and kettle. 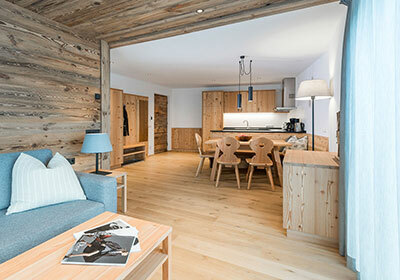 Two bedrooms in larch and antique wood. 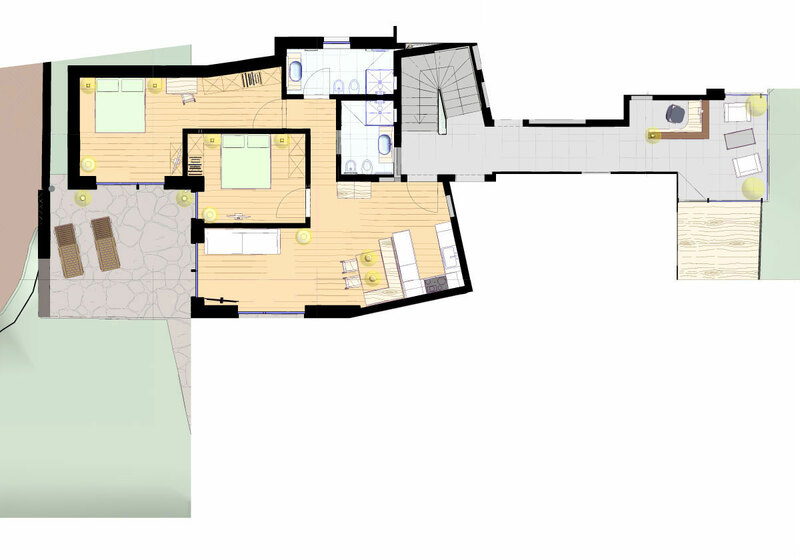 Two bathrooms with shower/WC, sink, bidet, heated towel rail and hairdryer.